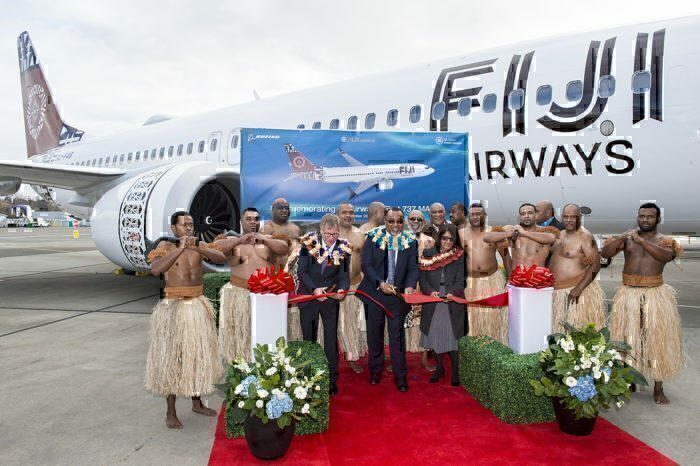 Fiji Airways Receives Its First Ever 737 MAX – Let’s Look Inside! 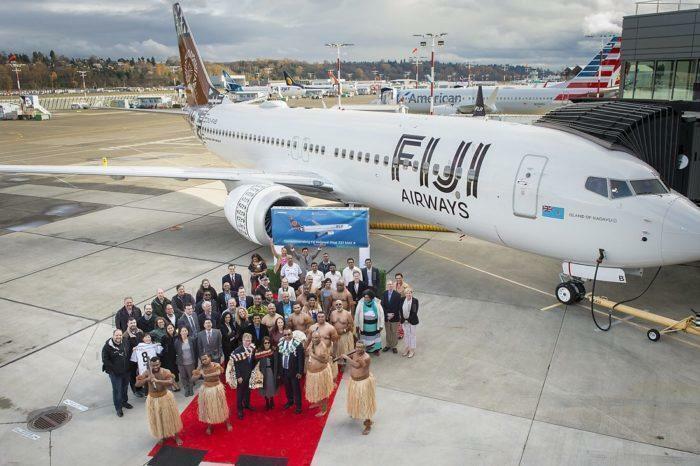 Fiji Airways has received its first 737 MAX aircraft, becoming the first carrier in the South Pacific to take delivery of one of these popular models. Handover happened at the Everett facility in Washington on Friday, with the aircraft due to arrive at its home in Nadi sometime today. The long flight back to Fiji was completed in a two stage hop, with a stopover in Honolulu on the way. 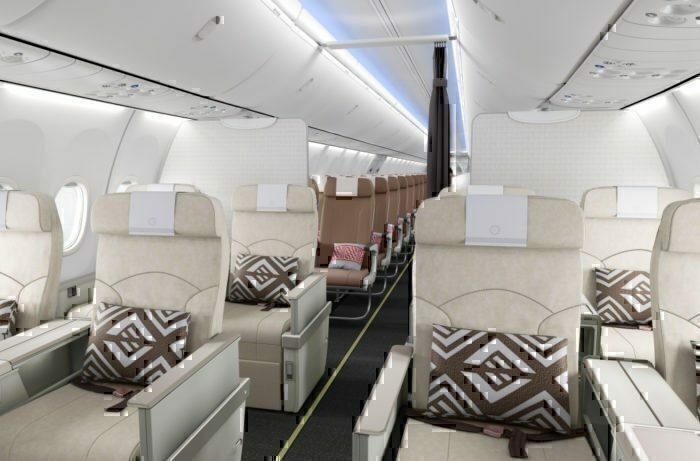 Fiji Airways, who are a Oneworld Connect partner, will operate its first 737 MAX 8 flights to Adelaide from mid-December onwards, becoming only the second carrier (after SilkAir) to fly this aircraft in Australia. Following this, they will add Wellington and other Australian cities, as well as destinations further afield. 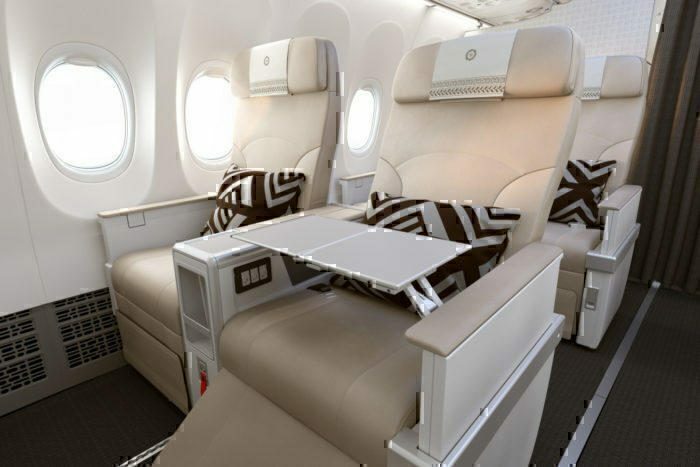 The business class seating on board is simply gorgeous in appearance. 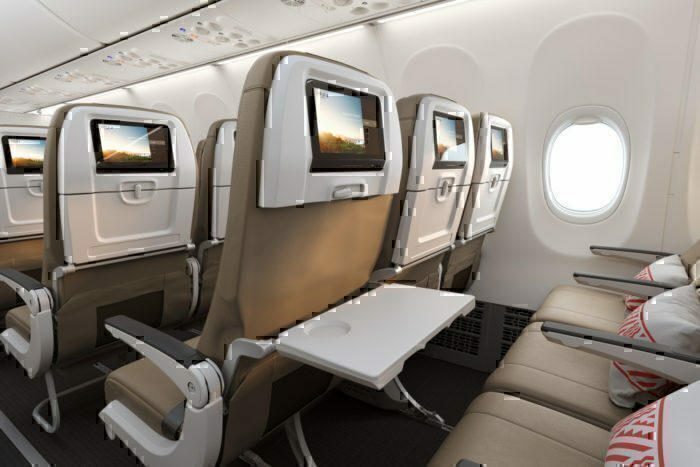 Designed by Teague (who also designed the seating on Eva Air’s Dreamliner), the white, cream and tan seats are luxuriously appointed, and are the MiQ model frequently seen in narrowbody business class situations. Configured in a 2-2 layout, with eight seats in total, each passenger gets a generous 21 inches of width in which to park their bottom. They aren’t quite lie flat, but the pitch is enormous. There’s 51 inches in total, enabling the window side passenger to get up and move around without disturbing their seating companion. Reclined, there’s a good eight inches of tilt, with the option of having the leg rest raised or lowered, giving a good comfort level for sleepy people. 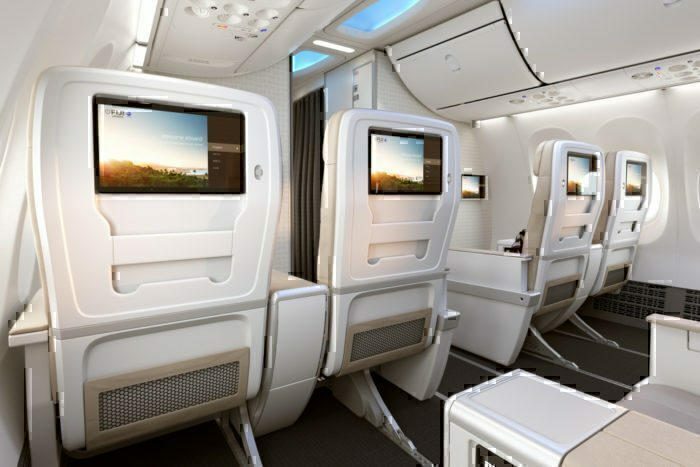 They’ve gone for the Boeing designed sky interior, offering a more spacious finish and the inimitable mood lighting. There’s plenty of storage, both in the pouch in front and underneath the central armrest. Inside the armrest is also the AC and high powered USB outlets. Fiji have done away with the iPads for business class travellers, instead installing 13 inch HD touchscreen monitors in the seat backs. Thankfully they’ve also fitted these with remote controls, as touching the screen is a bit of a stretch with the large pitch on these seats. 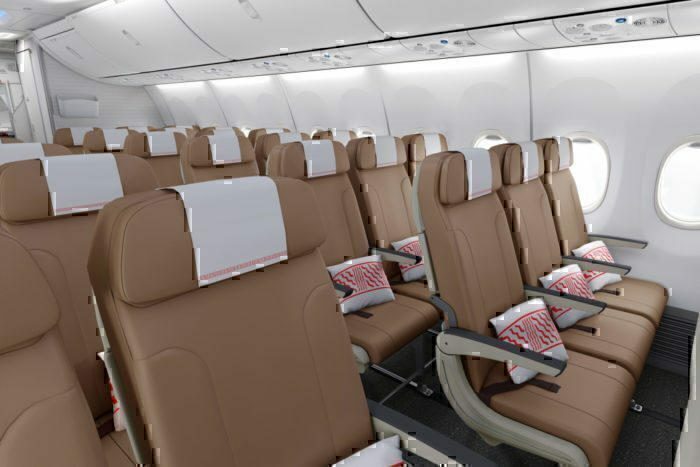 The economy seating on Fiji’s 737 MAX are similarly nice to look at. The tan colouring to match the fleet is complemented by touchscreen IFE for every passenger. Wi-Fi access has been promised, with a standard of seating and amenities comparable to their current A330 widebody products. As with all new aircraft, the carrier will undertake a period of familiarisation before service is launched, but we expect to see their first aircraft in full operation within a couple of weeks. The 737 MAX 8 remains the fastest selling aircraft to come out of the Boeing stables. Despite issues around the recent Lion Air crash and whether enough information was given regarding anti-stall systems, it is still gathering orders and has racked up more than 4,800 sales to over 100 customers worldwide.